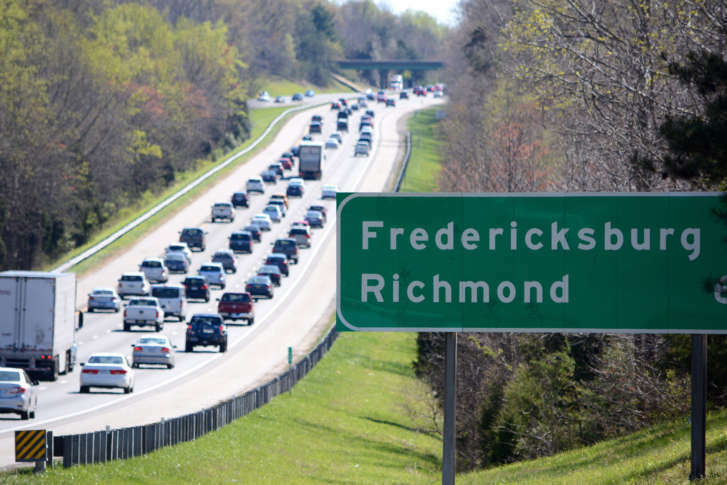 The study will assume that ongoing projects such as the extension of the tolled Express Lanes to near Fredericksburg, new bridges over the Rappahannock River and other work including commuter parking lot expansions and technology upgrades are completed as planned over the next four or five years. “Today, we know there is a very large bottleneck at Courthouse Road where the Express Lanes end. Well, they’re not going to end there for very much longer,” Donohue said. Initial public input on the worst problem areas is scheduled this spring, with meetings about potential solutions to those areas expected in late summer. A prioritized list of those solutions would be created by the end of November, for final approval by the Commonwealth Transportation Board in December. The General Assembly could then take any actions needed in the 2020 session that starts in January. “Don’t expect us to come back with some new type of tax or toll bill next year. I think we’re going to evaluate existing financing options that are available to the board to try and implement some of these types of solutions moving forward,” Donohue said. Virginia gave up a special federal exemption in 2016 that would have permitted toll booths south of Fredericksburg. The 95 corridor study is modeled on last year’s Interstate 81 corridor plan, which led to approval last week of new truck taxes and fees to fund statewide interstate improvements and a regional gas tax in that corridor to fund additional projects. In total, the Interstate 81 plan calls for about $2 billion in high priority work, with some of the simpler projects (adding safety features or short acceleration lanes) set to get underway later this year, and more complicated major widening projects likely at least several years away. “I think you’ll see a broader array of potential solutions kind of examined for the 95 corridor,” Donohue said. Besides roadway improvements on I-95 and U.S. 1, the plan could call for additional Amtrak, VRE, freight rail and commuter bus service; expanded commuter parking lots to further build carpooling and slugging along I-95, and other improvements slightly outside the main study area, such as the Long Bridge expansion between Arlington and D.C. that is required for any significant rail service boosts needed to draw more traffic off the highways.